@philmaguire What are you looking for in a random module? I have maths. The SV-1 sounds pretty good. I find the filter limiting it only has a single CV input. There is no cv for resonance. The unit works well with its normalized connections but patching it into a different configuration is a bit of work. 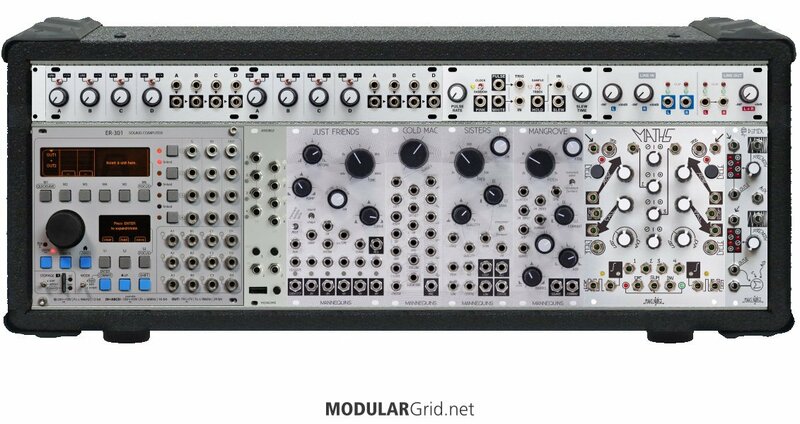 Hey guys what’s ya thoughts on this rig to replace my korg prologue? Ah yes that make more sense then! I’m rather nosey may I see a pic of your rig set up please? I usually bring modular + something else for shows. A couple of random outputs, and ability to set a range of random voltage is basically all I’m after! The Addac certainly does that. Plus you can set the timing as well which is very useful. I have the older version of the Addac module. The new one (didn’t realise they’d changed it) looks even better! It’s not cheap but worth the cash in my opinion. I’ve had this module for a while. It seems to work fine but, it never sounds good to me. I can never get a good snappy envelope, it always sounds a little mushy. Often the output sounds distorted unless I keep the level pretty low. I feel i must be missing something. That does not sound like the normal behaviour. Are you using the normal envelope mode? in most cases it must stay at full ccw position! because that’s your level offset! if it’s fully closed then your envelopes are able to open it!!! (controlled by the SHAPE knob). of course you can offset it. in envelope mode (first mode) i am able to dial in perfectly snappy envelopes AND use the level knob to willfully distort the output! vco sine out to streams input. my gate signal is multed to excite input AND trig input on maths (or any other snappy function generator). then you can play with the mod knob to filter the sound and with the LEVEL knob to distort your signal. i obtain the best kickdrums with this method. the curve and level knob are VERY important in your STREAMS patches!!! the only thing i regret is that there is no cv control over his parameters , other than that it is a fantastic module! Thanks for these tips! I’ve not built my Streams yet, but from skimming the manual I got the impression that the level and curve controls are easily overlooked but vital for getting the module to work in the way you want. exactly. you have to fiddle a bit to grasp it but then it’s a wonderful module. the envelope follower with centroid analysis is SOOOO damn good!!! vca and vcf are fully analog but digitally controlled. they do sound GOOD!